Of all major desktop operating systems, OS X is the only one I can honestly say works best using the touch-based input of a trackpad. While Microsoft has focused on bringing touchscreen technology to the desktop, Apple has continued to optimize for the more traditional pointer-based approach. 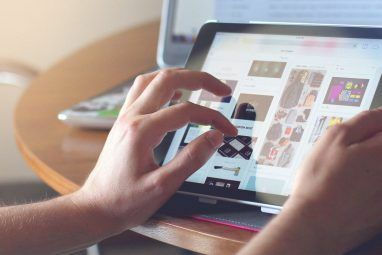 The combination of high quality hardware, a preference among users for laptops, and multi-touch input that’s since been included in all of the company’s mobile devices has made OS X surprisingly finger-friendly. If you haven’t already, you might want to ditch your mouse for a smoother Mac experience. 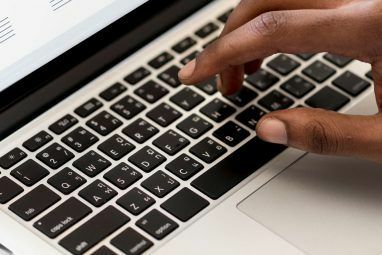 For new users, Apple’s clickpad can take a little getting used to — particularly if you’re coming from a Windows laptop. 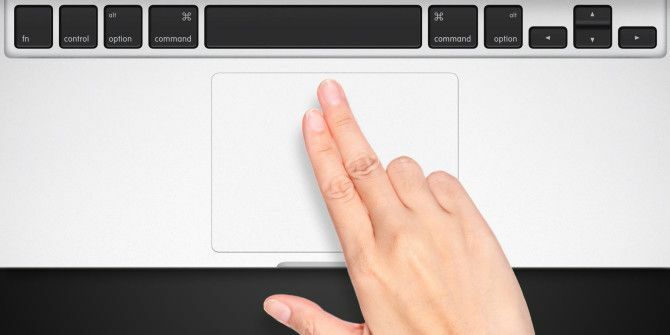 One feature that might accelerate your acceptance of that large slab of touch-sensitive glass is how OS X uses multi-touch gestures to create a more productive environment. It’s worth noting that Apple also produces a mouse — known as the Magic Mouse — which features similar touch-sensitive input. Using the Magic Mouse, you can access a limited number of gestures (six) including double-tapping to zoom and using swipe gestures to navigate back and forward between web pages. Pinch to zoom for web pages, maps, even image editors. Three finger tap for looking up the definition of a word or using data like phone numbers and dates. Four finger spread for exposing the desktop, like you’re “scattering” windows with your fingers. Right edge swipe inwards for quickly exposing Notification Center. By the time you’ve gotten used to using these features, you start to wonder how you ever managed without them. In particular gestures like the one used to access Notification Center really make the difference — sure you can set a custom keyboard shortcut Everything You Need To Know About Mac OS X Keyboard Shortcuts Everything You Need To Know About Mac OS X Keyboard Shortcuts No matter what operating system or program you're using, keyboard shortcuts are a tool you can use to make things quite a bit easier for yourself. Simply not having to take your hands off the... Read More or use hot corners (System Preferences > Mission Control > Hot Corners) — but nothing feels quite as intuitive as accessing your notifications and widgets by pulling the interface into view. This is further evidence of what many refer to as the “iOSification” of OS X. As more and more iOS features find their way onto your Mac, Apple is increasingly looking to its mobile OS when it comes to effective implementation. If you’re a productivity freak who runs a tight ship (and even if you’re not), BetterTouchTool gives you access to even more shortcuts and gestures. The once-free app now uses a donationware model, with a minimum cost of $3 (and a recommended payment of $5-10). For that paltry sum you get full access to a wealth of customizable gestures, which can be used to trigger an exhaustive list of actions and keyboard combinations Even More Powerful BetterTouchTool Actions You Should Know About Even More Powerful BetterTouchTool Actions You Should Know About If you want more control over your Mac using your Magic Mouse or trackpad, BetterTouchTool puts hundreds of actions at your finger tips. Read More . The app allows you to first set an input trigger: taps or clicks, Force Touch inputs, shape-based gestures or tap sequences, and you can even create your own gestures from scratch. In order to prevent yourself from accidentally triggering a gesture, you can make it so you’ll need to hold a key like fn or command in order to trigger them. You can even use the same gestures with a different key for different actions. The range of actions is massive, and includes keyboard shortcuts, OS X features like triggering Mission Control or enabling AirPlay mirroring, window controls like enabling full screen mode or minimizing the current window, and even emptying the Trash or triggering Automator workflows. Better still you can create app-specific rules, which only trigger in certain applications. Another feature which I absolutely love in BTT is the inclusion of Windows 7-style window snapping, which can be enabled from the app’s preferences. Unlike El Capitan’s new Split View feature El Capitan's Split View Seems Useless Until You Actually Use It El Capitan's Split View Seems Useless Until You Actually Use It Split View seems like a gimmick, until you use it for a while. Then you'll wonder how you used your Mac without it. Read More , it offers a nicer way of maintaining a neat desktop without entering full screen mode. BetterTouchTool works with just about any input device you can plug into your Mac, including Apple’s standard Magic Mouse and even third party controllers like the Leap Motion Control Your Mac By Waving Your Hands With Leap Motion & BetterTouchTool Control Your Mac By Waving Your Hands With Leap Motion & BetterTouchTool Control your Mac with the wave of your hand instead of keyboard presses. BetterTouchTool and the Leap Motion controller can power-up your workflow with dozens of mouseless shortcuts. Read More . It’s no secret that it’s at its most useful when used with a trackpad, particularly compared to Apple’s Magic Mouse which features a fairly small multi-touch surface on which to execute gestures (and there are considerably less gestures available to you too). If you’re reading this article on your MacBook, you’re probably thinking “so what?” — but there are still a number of users who favor the iMac, Mac mini or Mac Pro (crazy, right?). If you want to add the goodness of OS X gestures to your traditional desktop experience, you’re going to want Apple’s Magic Trackpad — or as detractors have dubbed it, the Tragic Macpad. The worst thing about Apple’s trackpad peripheral is the price, at $129 in the US. If you can get over that, you’ll get a rechargeable input device that lasts roughly a month on a single charge and provides a gigantic multi-touch surface on which to execute gestures and control your pointer with a high degree of accuracy. In addition to being wireless and 30% larger than its predecessor, the Magic Trackpad 2 includes Force Touch functionality as seen on Apple’s latest iPhone and the Apple Watch. This adds a degree of pressure sensitivity to your input, and it’s been used exceptionally well on the iPhone 6s Why 3D Touch Might Make You Switch to an iPhone Why 3D Touch Might Make You Switch to an iPhone Android fans: we can no longer claim we have the best smartphone. Read More to peek at links without opening them, and access app functions hidden in context menus Everything You Can Do With 3D Touch on Your iPhone Everything You Can Do With 3D Touch on Your iPhone 3D touch is really just a fancy name for a pressure-sensitive screen, but adds a whole array of extra input options to iOS. Read More in less time. If you’re not sure whether or not you want to spend $130 on a Magic Trackpad, you can take multi-touch gestures for a spin using an app like Mobile Mouse. With separate iPhone and iPad versions, the app costs $2.99 and provides full support for all native OS X gestures, though the slick glass surface of your mobile device doesn’t provide quite the same users experience as the lightly-textured feel of a MacBook’s trackpad. If you were hoping to see a selection of third party trackpads for your Mac, you’ll be disappointed to learn that Logitech appear to have been the only company to ever bring a product to market. It was called the “Rechargeable Trackpad” and cost $70 when released in 2013. It appears to have since been discontinued, as all traces of it have disappeared from Logitech’s own website. I found a few on eBay, but you’re probably better opting for Apple’s latest first-party offering for the pressure-sensitive inputs. With the arrival of pressure-sensitivity in the form of Force Touch, the Mac trackpad is likely to remain the best way of interacting with your computer for the foreseeable future. The power of gestures combined with a roomy multi-touch surface should be enough to tempt even the stubbornest of mouse users. The arrival of the iPad Pro further cements the idea that OS X is unlikely to adopt a touchscreen interface any time soon. Despite the iOSification that’s taken place over the last few updates, the interface would need a complete overhaul to even resemble something that could be deemed touch-friendly. What do you think? Do you love Apple’s trackpad and gestures? Or are you holding on to your mouse for dear life? Let me know what you think, leave a comment below. Explore more about: 3D Touch, Gesture Control, Mouse Gesture, OS X El Capitan, Touchpad. Nothing against Apple, they make some of the best trackpads and touchpads. I just hate using them, even the best ones. Even walking around work with my laptop or tablet PC, I carry a mouse in my pocket. I'd argue that Apple's input devices generally aren't very good anyway, with the limited key travel and odd key layouts of its keyboards and the sharp palmrest of Macbooks, they certainly aren't friendly to typists and the overlarge trackpads and relatively high probability of unintended gestures or pointer movement make GUI movement less pleasant than it could be as well. When I work on an OSX machine, I also bring a keyboard and mouse (well, trackball. Whatever). Probably the last time Apple put a decent keyboard on anything, it was still making Apple IIs. I've been using a keyboard and mouse for years on the PC side and even Linux works better with a mouse. I've never been a fan of the limitations that the trackpad forces you to accept and without a right click I've never understood why using multiple finger presses is better on the Mac trackpad than on other platforms. Sounds like you just want people to be a Mac fanboy. Hey, that's cool, but I still prefer working with a good mouse. This article was aimed at Mac users, so I'm a little confused as to why you think I want people to be Mac fanboys? I couldn't care less what other people use to be honest, I was just highlighting the usefulness of OS X gestures for those who are on the fence about a Magic Trackpad, or MacBook users who have already dismissed the trackpad. Personally OS X I see the mouse as being the more limiting input device as it greatly reduces the number of gestures you can use. Does Linux include multi-touch gestures now? My only negative is that while typing if you hit the pad your location changes. Happens all the time. I can't say this has ever been a problem for me either, but maybe I've just gotten used to my laptop. I can see how maybe it might be more of an issue on 13" or smaller laptops, but I use a 15" MacBook Pro so it's pretty spacious. Unfortuantely I've just had a really good look for you and I can't see any "disable accidental input" option, which used to exist in the days of Snow Leopard. There's also no "TouchFreeze" equivalent for Mac either. 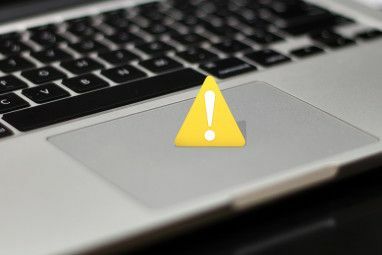 Best you can do is disable the trackpad when a mouse is present, or turn on mouse keys and control the cursor with the keyboard instead — neither are ideal solutions though.